Boeing failed to communicate with 737 Max operators new procedures for addressing cases in which the airplane’s automatic stall prevention system commands the nose of the airplane downward, potentially resulting the kind of steep dive that appears to have led to the fatal crash of Lion Air Flight 610, according to pilot union officials quoted by the Wall Street Journal. Meant to improve pitch response at high angles of attack and prevent pilots from raising the airplane’s nose too high, the maneuvering characteristics augmentation system (MCAS) in the 737 Max 8 and Max 9 does not appear in the 737 NG. Engineers made the change to address differing stall characteristics in the Max resulting from its larger and heavier CFM Leap-1B engines. MCAS can, however, force the airplane into a dive under circumstances such as faulty inputs from its angle of attack sensors, potentially leading to a crash, according to an emergency airworthiness directive issued by the FAA. The November 7 AD required a revision to the chapters in the airplane flight manual dedicated to certificate limitations and operating procedures for addressing runaway stabilizer. It also highlighted the procedures to follow in the event of runaway horizontal trim caused by faulty angle-of-attack inputs to the airplane’s flight control system. According to the AD, analysis performed by Boeing showed the defect could lead to repeated nose-down trim commands of the horizontal stabilizer, thereby compromising aircraft controllability and leading to excessive nose-down attitude, “significant” altitude loss, and, ultimately, a crash. “We are issuing this AD to address this potential resulting nose-down trim, which could cause the flight crew to have difficulty controlling the airplane, and lead to excessive nose-down attitude, significant altitude loss, and possible impact with terrain,” said the AD. The directive came a day after Boeing issued an operations manual bulletin in response to investigators’ findings that the Lion Air 737 Max 8 that crashed into the Java Sea on October 29 experienced erroneous input from one of the sensors. 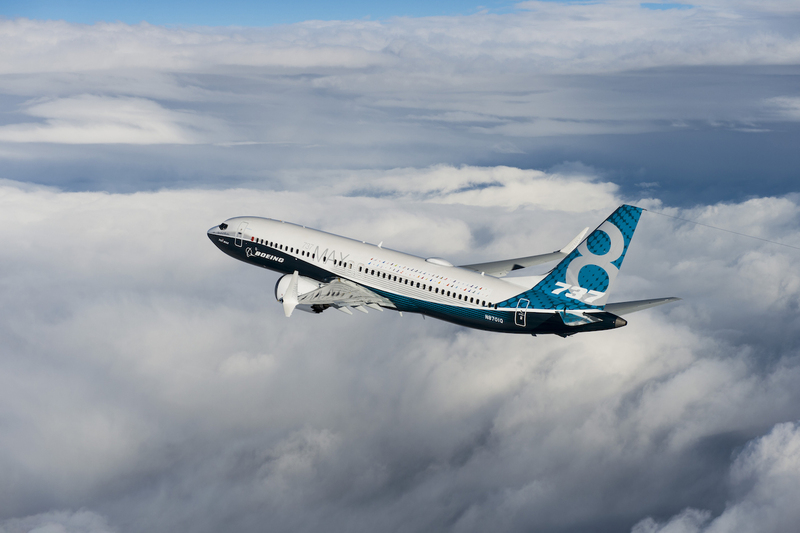 The Boeing bulletin directed 737 Max operators to follow existing procedures to address circumstances of false input from the airplane’s angle of attack (AOA) sensors. Boeing expressed its confidence in the safety of the 737 Max and issued its condolences to the families of the 189 people who died in the Lion Air crash. "We are taking every measure to fully understand all aspects of this incident, working closely with the investigating team and all regulatory authorities involved," it added. For operators, part of the appeal of the Max centered on the ease with which NG pilots could transition to the new model with minimal training differences training and no additional simulator time. In fact, the latest revision of the FAA’s Flight Standardization Board Report for the Boeing 737 family, dated October 17, does not call for any differences training related to the MCAS. Meanwhile, Indonesian authorities continue their probe into the October 29 crash that killed 189 people. Search teams found the airplane’s flight data recorder early this month, and the device contained more than 1,790 parameters spanning 19 flights over some 69 hours. Despite incurring heavy damage due to the force of impact, the FDR’s data recording module remained operable, allowing investigators to confirm the airspeed indicator had malfunctioned on four separate flights. However, divers have yet to recover the cockpit voice recorder (CVR), believed embedded in the muddy seabed, northeast of Jakarta, where the 737 Max 8 crashed 13 minutes into its flight. On November 5, navy divers recovered the emergency locator transmitter from a depth of 98 feet. Searchers have also retrieved parts of the airplane’s landing gear and fuselage from the Java Sea.